The insurance industry has taken Kyle accross Canada and back. He has over 15 years experience in the industry and uses his extensive knowledge daily to support our entire team. Kyle stays on top of policy and procedure changes and has become an industry leader in insurance technology and systems, always with a focus on improving the customer experience. Kyle joined us in 2007 upon his return to the Maritimes from Calgary and holds his CAIB. When Leona told us it was time to retire in 2014 we panicked, how could we ever replace her? That worry was for nothing. Margie quickly gained our confidence that all our financial and Human Resource needs were in order and well taken care of. Margie also continually provides us with great advice and guidance on all aspects of our business. Joined the team in 2003 and has been in the insurance industry for over 25 years. Heather quietly and calmly deals with every challenge put in front of her. She sees complex business insurance situations as a challenge and not an obstacle and always finds a solution for her clients. you probably know Heather, Peter and their 3 sons from their many years in Nova Scotia's hockey rinks. Sean joined us in 2016. He has an extensive background in commercial insurance with a large Canadian Insurer. Sean’s resume included him being a former captain of his Junior Hockey team and has played competitive hockey in Europe and the US. We knew that Sean was going to be a team player and would settle for nothing more than a best effort…we were right. Sean recently moved to the Pictou area and looks forward to working with our clients on their home, auto and business insurance. Christine joined us from a senior claims position at one of Canada’s leading insurers. Prior to that she worked as a commercial insurance broker in Ontario. Christine recently moved to East Hants and loves the slower pace. She has been busy working on getting an off-leash dog park in East Hants. Christine’s extensive experience, education and warm and friendly personality has been a wonderful addition to our commercial team. Andrew joined us in 2008 after honing his client relationship skills with a large telecommunications company. Andrew has a passion for business and business people and loves to find out what is important to them and their operations. 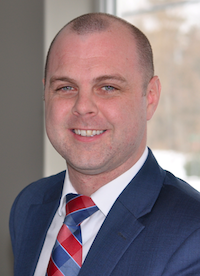 Andrew received his Broker Accreditation (CAIB) in 2013 and is currently working on completing his CIP. Andrew is a third-gereration Nova Scotia dairy farmer who understands the challenges facing today’s farming industry, including the importance of being educated about insurance. Andrew takes a consultative approach by understanding your business and making recommendations about the types of coverage available, and what is and isn’t covered should you need to make a claim. Mark joined us after spending 15 years at a successful life insurance career. Mark's passion is connecting with people, learning their story and quickly forming a deep relationship. Mark is always willing to go out of his way for his clients and always has their best interest at the forefront of all he does. Steve has spent his entire working life in all aspects of insurance. His specialty however, is farm insurance. His clients are his friends and as such he has a deep desire to make sure they are properly protected. Matt joined us in 2004 after beginning his working life in the restaurant business. Matt has a passion for insurance and for building relationships in his professional and personal life. 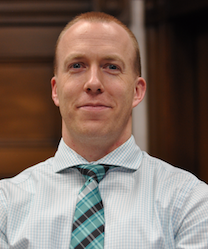 Matt has his CAIB designation and his CIP and is currently a director of the Insurance Institute of Nova Scotia. Amy joined us in 2014 after working as a Commercial Underwriter at a large insurer. Amy is totally committed to our business clients' best interests. This is evidenced by her completion of the Chartered Insurance Professional designation recently. Her calm and pleasant personality makes her a joy to be around and work with. Amber joined our team in Elmsdale in December 2016 after beginning her career at a large Insurer. Amber is anxious to use her extensive knowledge to help her clients get the peace of mind they need when protecting what is important to them. Cindy began her insurance career at a direct insurer almost 30 years ago. She joined Caldwell-Roach in 2005 and appreciates being able to independently choose the right company and policy for her clients. Cindy's experience and professionalism makes her someone we all look to for advice and direction. Shelley joined our team in 1988 and has since enjoyed more positive feedback from clients then anyone we can think of. For many clients, Shelley is Caldwell-Roach. Always eager to make a joke, share a story or just listen. Shelley has a connection to our clients that we all strive to achieve. It's unique for someone to have a great sense of humor and desire to make others laugh while at the same time being completely professional in all her business dealings. Thats what Lindsey brings to our office every day. A true pleasure for all of us and our clients too. Lindsey joined us in 2008. Andrea received her BA from Saint Mary's University in 2000. After a few years teaching in Korea Andrea returned home and worked in customer service positions at a local firm. Andrea joined our team in 2010 and achieved her CAIB in 2013. She is currently working on her CIP. Shaunna joined us in 2016 but worked with us in her previous career as a successful sales executive. When we found out she wanted a career change we knew she would be just right for us and more importantly our clients. Always eager to learn and grow, Shaunna never stops smiling, even when she’s studying something new. Sarah is a perfectionist! Her attention to detail and desire to cover all the bases elevates all of our games. If Sarah is looking after you - relax - nothing will be overlooked. Sarah joined our team in 2011. Leah began her Insurance career in claims adjusting with a local firm. She then joined a large direct insurer where she honed her skills for 5 years in property, farm and commercial insurance. Leah always takes the time to get to know her clients which is in ironic because when not at work, Leah, Jason and sons Lucas and Riley never slow down. 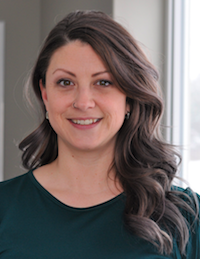 Tara Started with us in Elmsdale in 2013 after 5 years at a direct insurer. We then moved her to Truro to be closer to her home. Then we moved her to Pictou for the Summer of 2016 to establish our new location there. Tara is back with us in Truro now but who know’s where she’ll help out next. We’re so lucky to have someone who only wants the best for her clients and us and is willing to do whatever and go wherever she is needed..
Jordan was a golf professional in his previous life. We recruited him after seeing his ability to connect with people and his passion for customer service. Jordan quickly learned the insurance business and now uses his talents to ensure his clients have the coverage they need while enjoying the experience of working with someone that truly cares. Jordan joined our team in 2011 and holds his CAIB designation. After working in the insurance industry for more than 9 years with Co-operators Insurance and Kings Mutual Insurance, Vicki joined Caldwell Roach in 2016. She is originally from the Pictou area and loves working in her home town. Vicki spends her free time with her husband at his family's camp at Garden of Eden Lake near Sherbrooke, Nova Scotia. Megan has been working in the insurance industry since 2010 and comes to us from one of our insurance partners. She is a very detail oriented person and works closely with her clients to provide them with home and auto insurance solutions. 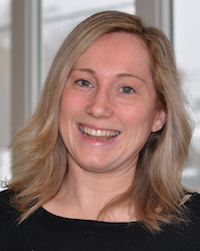 She is a busy mom of two young children and loves living in Pictou. Janet joined Caldwell Roach in January 2017 but has worked in the insurance industry for over 25 years. As a long time resident of Pictou County, Janet is anxious to ensure her neighbors and friends get the coverage they need from the many available options a large, independent brokerage offers. Joyelle has worked for a couple other brokerages before coming home to Caldwell Roach. She quickly became part of our family and now is someone we all look to when something needs to get done. Joyelle provides excellent customer service and loves connecting with her clients. She is currently working on her CIP. Sometimes you need to work hard to get what you want. That's what we did to convince Ashley to join us...and was it ever worth it. Ashley is smart, efficient and puts a smile on everyones face. She did a great job for her clients at a Direct Insurer before joining us, and is able to do so much more having the added coverage choice Caldwell Roach offers. Ashley is currently working on her CIP designation. Janet worked with Caldwell Roach from 2003 to 2006 after a long career both with an insurer and at a brokerage. After working with her husband for the past 9 years Janet wanted a change and realized that she missed the daily interactions with her clients and taking care of their insurance needs. We were happy she made that decision, it’s great to have her professionalism, intelligence and great personality back with us. After seeing Rhonda's organizational skills and effectiveness in other volunteer roles, we knew we had to have her with us. Rhonda agreed to join us in 2008 and has since completed her CAIB and CIP. With a strong desire to do and learn more every day, Rhonda quickly became a leader in our office. Rhonda is now the person we all rely on for guidance. She uses the qualities she displays at work to also help many organizations around our community. Adelle Joined our team in 2003. She achieved her CAIB designation in 2009 and her CIP in 2015. Adelle's work ethic and dedication to her clients best interests never ceases to impress us all, we can always count on her. Adelle lives in Elmsdale with her husband Jack and their 5 children. Brittney started with us in August 2018. She calls Nine Mile River home and has always worked in the local community. She knows many of our clients and helps them to be educated about their policies and coverage. Brittney is currently working towards her CIP designation. On weekends you can find her four-wheeling with Alex and their dog on Sutherland's Lake. Nicole joined us in 2018. She moved back from out west after working with a disaster recovery company. Nicole loves the friendly, family atmosphere of Caldwell Roach and is working with our clients to protect them and their families. If you have had the pleasure of working with Kayla then you know what we mean when we say Kayla is a true friend to our clients. You will not find anyone more committed to the satisfaction of her clients and more caring about their needs. Kayla began with us in 2015. We were very fortunate to have Amelia join us in 1999. She had previously worked at another brokerage for many years before that. Her wealth of knowledge is a great asset not only to our clients, but to all us that work with her as well. Amelia was recently featured in an Insurance Brokers Association of Canada video showcasing the value of working with an Independent Broker. Sandy has made a lot of changes in her life over the past 5 years, including leaving a position with CN Rail and choosing a job that is closer to home and her family. That was great news for Caldwell Roach, as Sandy’s past experience with TD Insurance and strong customer service training with CN Rail make her an ideal broker. Our clients benefit from Sandy’s attention to detail and kind manner. Anne-Marie has been helping her neighbors and friends in Tatamagouche protect what is important to them for over 26 years. We are thrilled that she will be joining our team and bringing with her that strong dedication to the people of the North Shore. During the transition from AA Munro to Caldwell Roach, Anne-Marie's only focus was making sure her clients would be well taken care of, a goal we share. Nine years ago Tara was only looking for a quote for her home insurance when she became interested in a career in insurance. Soon after she was given that opportunity and she hasn't looked back. Tara brings her accumulated industry experience and dedication to customer service to her role at Caldwell Roach. In her free time, you will most likely find Tara at the North Shore Rec Centre watching her son play hockey. Neil has been working with our clients for over 15 years to make sure they have the life, disability and health coverage they need. While not intimidating, Neil's Black Belt in Karate exemplifies the dedication he has to everything he does in life. Shelley has done just about everything in her career with us but she currently ensures that all our renewals and endorsements are correct and accurate and that everything happens when it’s supposed to. A stickler for detail and perfection, she is the perfect person to provide the last look at policy accuracy. Charlene joined us in 2002 when we purchased BPA insurance. Charlene was one of the big perks of that acquisition. She is a well known member of East Hants and treats every policy as if it belongs to her best friend. Charlene has always spent a lot of time at the Sportsplex watching her sons play competitive hockey. Now she’s doing it again; her grandson Brody was a member of the Pee Wee AAA Provincial Champs in 2016 and her husband and son coached the team! Natalie brought her experience as a Claims Adjuster to our office in 2013. Natalie quietly goes about her business of ensuring her clients have the best coverage and options that we have available. During the winter months we all have a hard time believing that Tracy left Bermuda to work in Canada. She held several positions in Real Estate, Finance and customer service in Bermuda before moving to Canada. Tracy works hard to make sure nothing gets missed on our customer documents and transactions and only settles for perfection. Tracy has been with us since 2002.